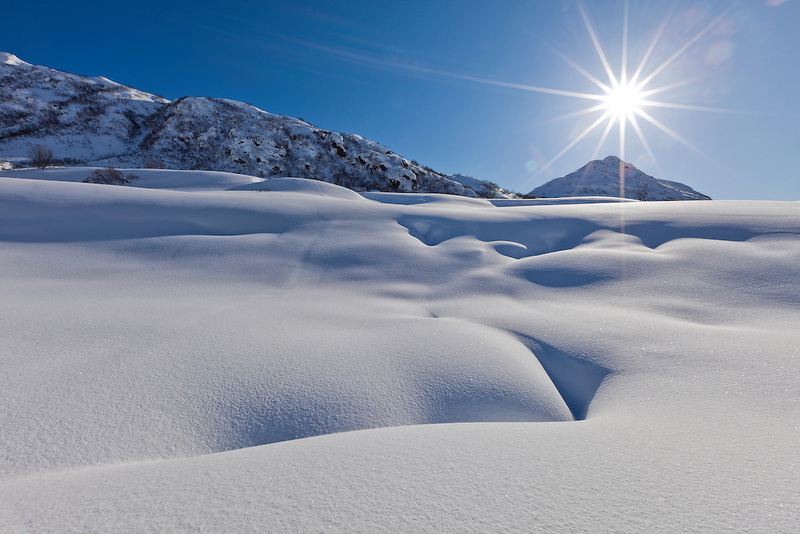 The late winter sun rises high enough in the sky to illuminate the deep snow in the Talkeetna Mountains of Hatcher Pass in Southcentral Alaska. Afternoon. Winter.